A dental crown is a restoration that is placed over a weakening tooth in order to restore it to its natural form and function. A tooth may need a crown if it has become broken or cracked, if it is suffering from decay, or if conservative restorations have proven insufficient. A dental bridge replaces one or more missing teeth, and does so with dental crowns that are placed on either side of the missing tooth. The crowns act as anchors for the replacement tooth (or pontic) that fills in the gap of empty space. There are a variety of dental bridge procedures available and Dr. Adina Manolescu can help you determine which treatment is right for you. Both crowns and bridges can be attached to either natural teeth or dental implants, and are designed to match the size, alignment, and appearance of the natural teeth in order to create the best aesthetic. Dr. Manolescu uses porcelain to deliver optimal results. 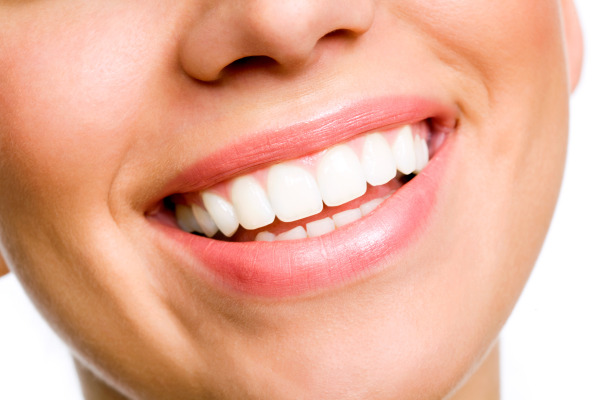 Porcelain crowns have translucent qualities that, with the help of an expert cosmetic dentist like Dr. Manolescu, can look just like natural teeth. When one or more teeth have gone missing, a dental bridge can prevent the remaining natural teeth from shifting into the open gap, which could impact dental health and facial aesthetic. By replacing missing teeth, a dental bridge creates a full set of teeth that have regained their original health and functionality. Dental bridges may also provide a permanent alternative to removable partial or complete dentures and can be maintained with regular oral hygiene practices. With both dental crowns and bridges, Dr. Manolescu will need to shape the natural teeth in order to provide the stable support and precise fit of the final restoration. This will take place during your first dental appointment, and once your teeth have been prepared, Dr. Manolescu will take impressions that are sent (along with a dental replica) to a dental laboratory for the creation of your crown or bridge. You and Dr. Manolescu will work together to determine the color, shape, and size of your restorations and a temporary restoration will be placed to protect your natural teeth while your crown or bridge is being created. If your crown or bridge must be supported by dental implants, Dr. Manolescu will assess your health and determine whether you are a candidate for dental implant placement. She will then refer you to a specialist trained in implant surgery. Once your crown or bridge has returned, your second dental appointment will consist of Dr. Manolescu removing your temporary restorations and placing your crown or bridge to ensure fit and comfort. Then, Dr. Manolescu will use an adhesive bonding agent to permanently secure your restoration. If you have damaged or missing teeth, call our San Diego office and learn if a dental crown or a dental bridge is the right restorative and cosmetic dental solution for you.